Joseph LaTroy Williams, Jr. of Puyallup, WA, was born March 30, 1990 in Fort Stewart, GA to Joseph LaTroy Williams, Sr. and Dorothy Ramos. 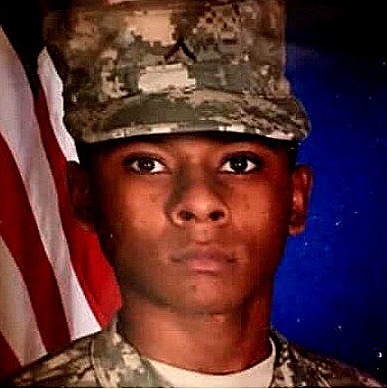 He resided in Hammond, IN and Lawrence, IN before graduating high school and joining the U.S. Army in 2010. "Lil Joe", as friend and family called him, gave his life to Christ and loved to tell everyone about God's saving grace. He enjoyed spending time with those he loved and in his leisure time, he enjoyed playing basketball and gaming. In the Army, Joe ranked amoung the highest in his unit for physical strength and endurance. He had an infectious smile and always told stories to make others happy. After leaving the military, Joe remained in Washington State and was employed as a ceiling technician with Acoustical Design INC. He held many certifications and was a member of the Northwest Carpenters Institute Union Local 41. Lil Joe transitioned from this life on January 8, 2019. He is preceded in death by his grandparents McKinley Williams, Heloise Turner, Johnny and Dionicia Ramos; aunt Lynn Williams and cousin Regina Mbonu. He leaves to cherish his memories his parents Joseph (Cynthia) Willams, Sr. and Dorothy Ramos; brothers John L. (Angelica) Cuevas, Dominic (Mariah) Williams, and Greg A. (Kat) Mackert, Jr.; sisters Brandi Harris, Andrianne Sain, Meliyah Harris, Essence Williams, Julia Mackert, and Andrea Mackert; nephews and nieces Carlos Cuevas, Valentino Cuevas, Darion Rice, Jayla Cuevas, Eryn Jones, and McKynzie Works; special friend Greg Mackert, Sr.; special aunt and uncle Ramona Watt and Bobby Watt and a host of other nieces, nephews, other family and friends.